STONE EFFECT There are 100 products. 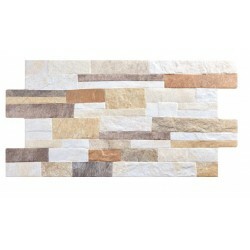 Matt Ceramic wall tiles Everest Beig 20x50cm. ECO Quality. Price per m². Ceramic Wall Tiles Sicilia Gris 25x40cm, ECO Quality. Gloss Finish. Price per m². Ceramic Wall Tiles Alcora Rojo 25x50cm. ECO Quality. Gloss Finish. Price per m². Ceramic Wall Tiles Alcora Black 25x50cm. ECO Quality. Gloss Finish. Price per m². Antic Delta 6,5x20cm - Wall tiles. Price per m². Antic Delta Corners 6x10x20cm. Price per piece. Ceramic Wall Tiles Arties Arena 25x50cm. ECO Quality. Matt finish. Price per m². Ceramic Wall Tiles Astur Brick Cobre 25x49cm. ECO Quality. Matt Finish. Price per m². Ceramic Wall Tiles Astur Brick Cuarzo 25x49cm. ECO Quality. Shiny Finish. Price per m². Shiny ceramic wall tiles Bisel Onix Beig 25x50cm. ECO Quality. Price per m².